View More In Spine Supporters. Completely portable and streamlined machine Pilates. COR (center of the room) Pilates Wheel allows you to do hundreds of exercises and workouts anywhere you want. 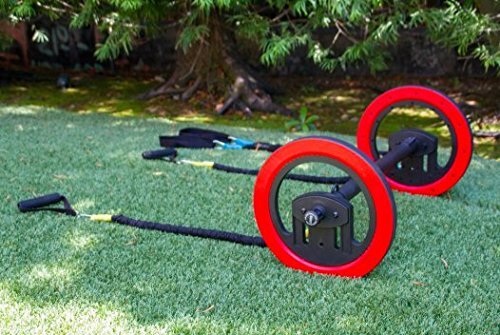 With the COR package you will receive: The Pilates Wheel 2 light resistance bands (32"ea), 2 med. resistance bands (32"ea), 1 heavy resistance band (45"), 2 handles, 2 foot loops, 2 instructional DVDs- 7 workouts (plus access to online instruction), nutrition guide. If you have any questions about this product by Pilates Wheel, contact us by completing and submitting the form below. If you are looking for a specif part number, please include it with your message.